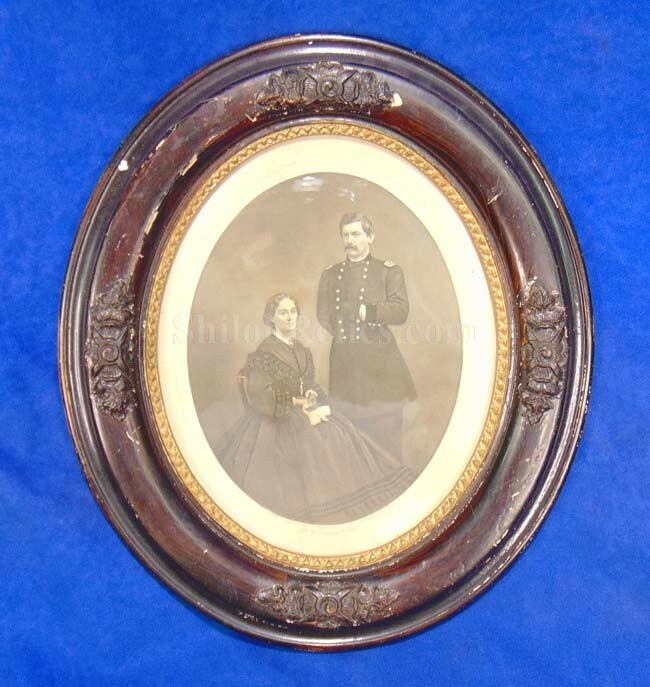 Here is a fine original Civil War era large size albumen image of Union General George B. McClellan and his wife. 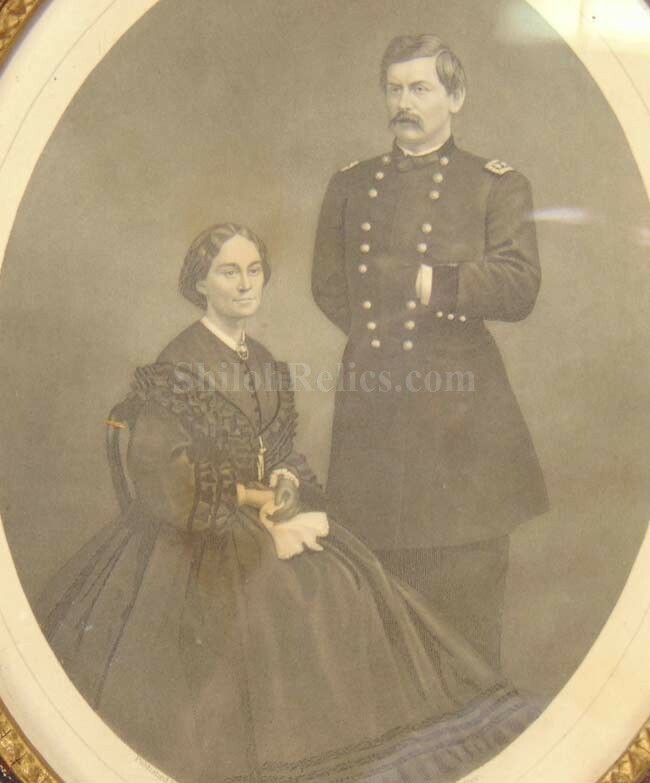 The image shows the General in his General uniform with his wife, Mary, seated in front of him. The view is from the full-length and he has a very stately look. 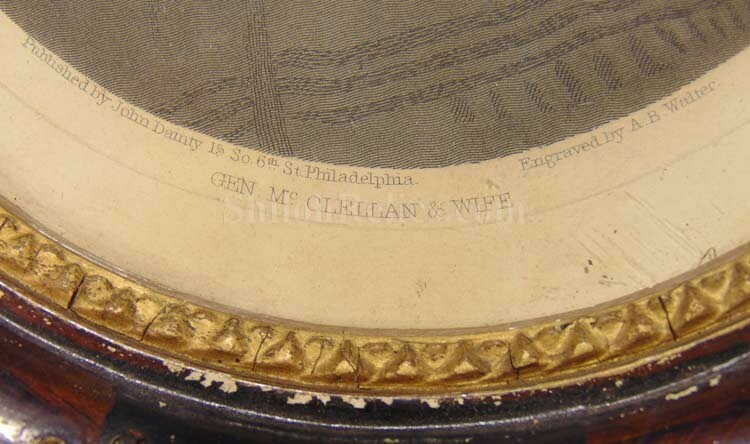 Just below the image it reads "GEN McCLELLAN & WIFE”. 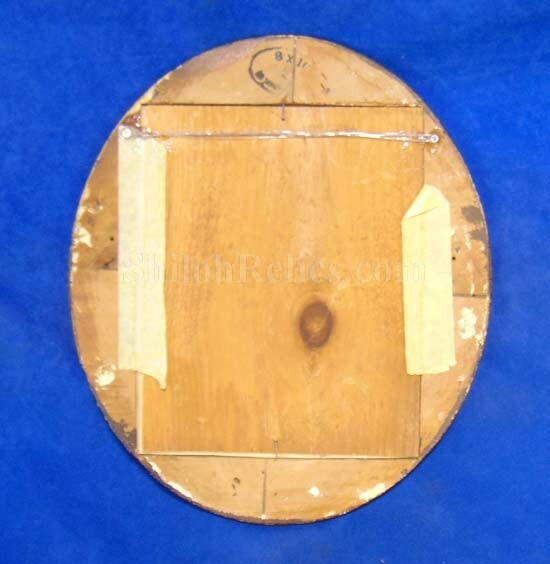 It also states that it was Engraved by A.B. 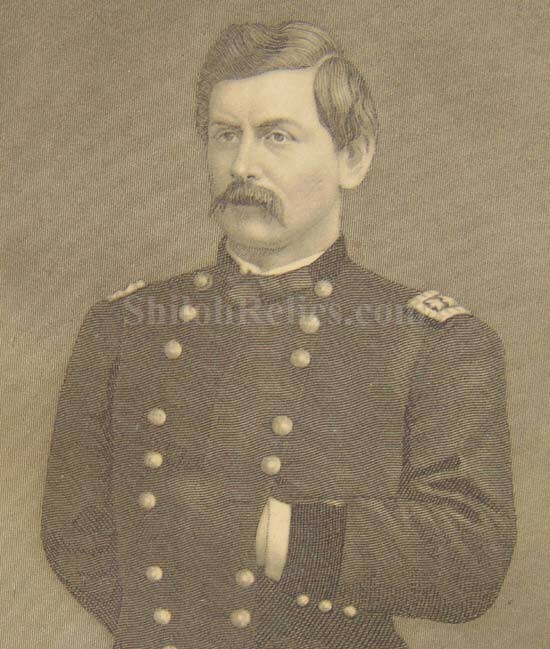 Walter and printed by the Philadelphia publisher John Deinty. 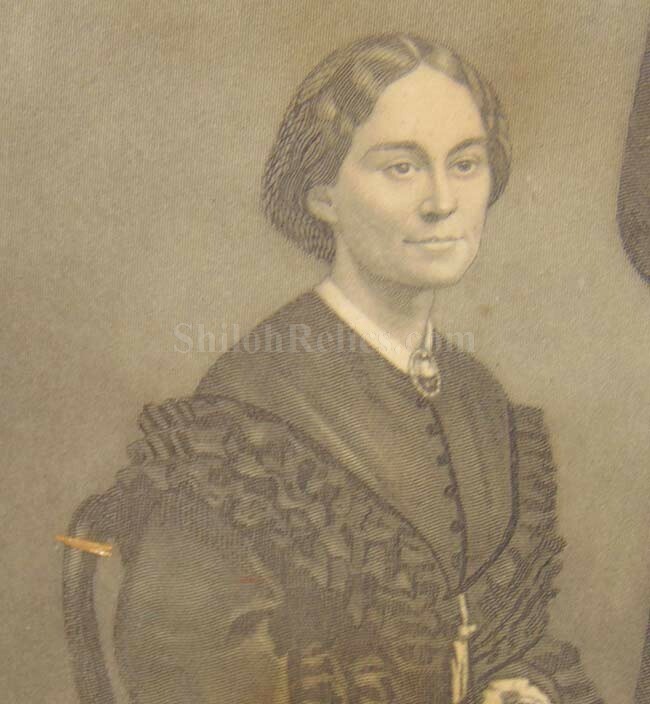 The image comes beautifully framed in a Civil War period wooden frame. The frame has some wear but makes a wonderful display as you can see.